Camp Owners and Directors, Jason and Leslie Silberman, are very familiar to the camp life on East Lake. Leslie spent her childhood summers at Matoaka, while Jason attended the boy's camp on the lake. In the summer of 2001, Leslie and Jason met at a camp social during staff orientation, and the rest, as they say, is history. They were married in the fall of 2004 and currently reside in Needham, Massachusetts during the winter months with their three children, Brett, Carly, and Chase. Leslie attended Matoaka as a camper for six summers, her last year culminating with the honor of being a College League Captain. She was also a counselor, swim instructor, and advisor for two summers. Leslie has the proud distinction of being a second generation Matoaka camper. Her mother, Sharman Rosoff Rosen attended camp for many summers while Matoaka was under the direction of its founders, Midge & Joe Nathanson. Leslie earned a Bachelor of Arts Degree in Communication Sciences from the University of Vermont, and a Master of Science Degree in Speech-Language Pathology from Massachusetts General Hospital of Health Professions. Jason was associated with Camp Manitou for 20 years, first as a camper, then as a counselor and director, as well as owner from 1997 to 2003. He earned a Bachelor of Science Degree in Business Management from Syracuse University. Jason serves as Vice President for the American Camp Association, co-chairs Camp Champions, which helps raise money to send under-served children to camp, is the current Treasurer of CODA (Camp Owners & Directors Association) and is involved in both the Maine Camp Experience, as well as Maine Summer Camps. Leslie and Jason understand the camping environment and bring a great deal of experience, warmth, enthusiasm, and stability to the Matoaka community. 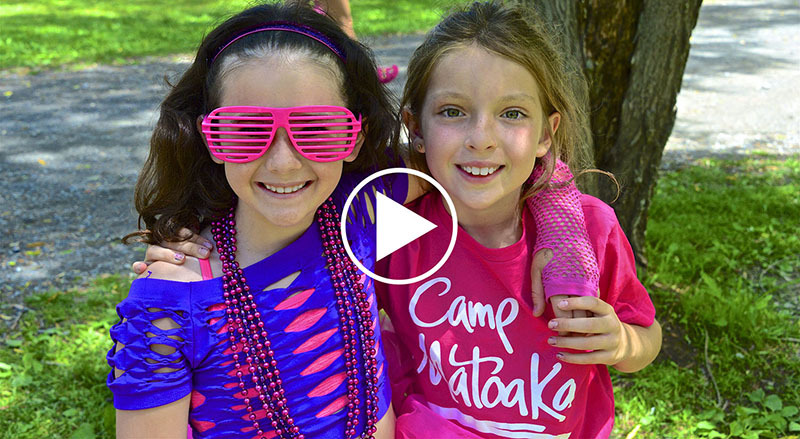 They look forward to sharing the Matoaka traditions that have enriched the lives of so many campers.